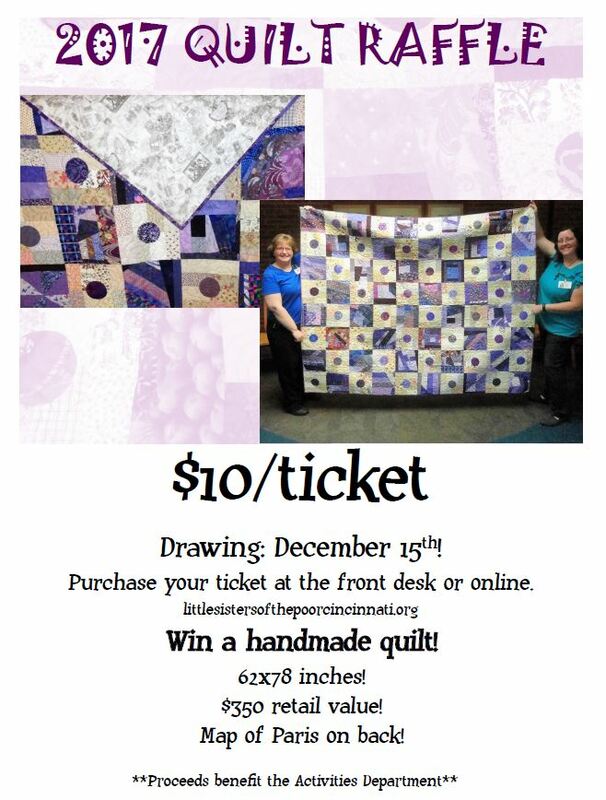 Enter for a chance to win a handmade quilt by Jerri Szlizewski, an employee at St. Paul’s Home. This years quilt is 62×78 inches. It is made of beautiful shades of tan and purple. The drawing will be held on December 15.